Poems for Ephesians is a journal of poetry that leaps out of the images, ideas and inspirations of the Book of Ephesians. These poems, which are the expressions of the poets themselves, do not necessarily reflect the views of McMaster Divinity College. This web-journal is an on-going project presented by D.S. Martin, MDC’s Poet-in-Residence: (martid17@mcmaster.ca). Watch for new posts every week! D.S. Martin is the Series Editor for the Poiema Poetry Series from Cascade Books. His most-recent book of poetry is Ampersand (2018). Follow these links to his website www.dsmartin.ca and to Kingdom Poets his online resource of Christian poetry. his blueprint unfurled across the stars. dictates plans for minutes and lifetimes. His breath calls cells to assemble. Each molecule pulsates with possibility. He measures the length of our days across his palm. that has no walls and no ceiling. As we live, he still crafts. until the shape is just so. Until our eyes notice others. in the scale of the mind. Amy L. George is an English professor at Southwestern Assemblies of God University in Waxahachie, Texas. 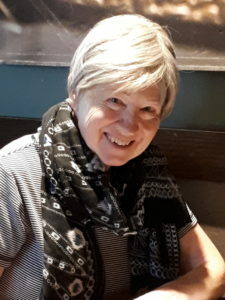 Her poetry collections include The Stopping Places (2018), and Desideratum (2013) both from Finishing Line Press, and The Fragrance of Memory (2009, Amsterdam Press). Someone wrote them for me. But they are my letters. If not hand-writ by me— written by another through me. Diane Glancy has written extensively as a poet, novelist, playwright, and nonfiction writer. Her most recent book is the poetry collection The Book of Bearings — the most-recent title in the Poiema Poetry Series from Cascade Books. As a poet she has published twenty titles — including both chapbooks and full-length collections. Glancy has received many awards including a Minnesota Book Award, an American Book Award, the Pablo Neruda Prize for Poetry, and an Oklahoma Book Award. One boy my age dared look me in the eye. I sometimes heard in my father’s. your unclean idol prayers will not be heard. But I only scowled and spit. with the toe of his sandal. let alone be rebuilt in three days. That all seems like another, long-ago life. Gaius and I are forty. Debbie Sawczak’s poems have appeared in Crux, Writual, the U.C. Review, McMaster Journal of Theology and Ministry, and in the anthology Adam, Eve, & the Riders of the Apocalypse. Debbie’s work as a bookseller and professional editor gives her additional pathways into the beloved and stimulating world of text. She and her husband live in Georgetown, Ontario; they have three adult sons. Her poetry has been selected for In A Strange Land: Introducing Ten Kingdom Poets (Poiema Poetry Series). What would you do to walk in Christ’s steps? So many confront us on the way. Knock on doors until someone lets you in. Shed anger like a snake sheds its skin. Whatever remains will be a new song. where you walk to cushion your feet. Who would you not love? Are you ready to prostrate yourself? It is hard to walk in love. 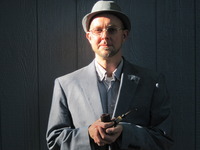 Martin Willitts Jr is the author of 24 chapbooks and 14 full-length collections including The Uncertain Lover (Dos Madres Press, 2018), and Home Coming Celebration (FutureCycle Press, 2019). He has won such awards as the 2014 Dylan Thomas International Poetry Award, and the Stephen A. DiBiase Poetry Prize, 2018. He is a poetry editor for Comstock Review. arches, his long blue neck plucks nibbles of tessera. for a harem girl’s accessory, so what are they doing here? the Church discovered peacock flesh does not decay. year a feather’s molt returns brighter and more beautiful. are restored to make his move. Jen Stewart Fueston has taught writing at the University of Colorado, Boulder, and in Hungary, Turkey, and Lithuania. “Detail of a Peacock,” which first appeared in The Cresset, draws on early church imagery, and echoes Ephesians 1:18, and 2:6 & 7. Her two chapbooks are: Visitations (2015) and Latch (2019, River Glass Books). Her poetry has been selected for In A Strange Land: Introducing Ten Kingdom Poets (Poiema Poetry Series). ———-And he’ll never serve again”. ———-Or did he make a fuss? ———-To the saints in Ephesus. David C. Brown was born in Edinburgh, Scotland, and has lived there or in its neighbourhood most of his life. 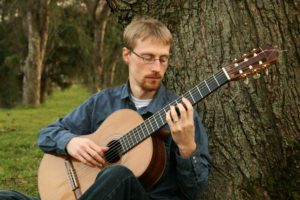 He has published privately through www.lulu.com, and on his blog, https://dcbverse.blogspot.com/ . He has been writing verse in varying styles for about fifty years now, while working as a minor civil servant, trusting it is to the glory of God. He is fond of stravaiging in the Scottish hills. He keeps, and gives to me his death’s conquest. Of his and thy kingdom, do thy sons invest. Is all but love; oh let that last will stand! John Donne (1572—1631) is perhaps the most influential Christian poets of the 17 century. He was dean of St. Paul’s Cathedral in London for the last decade of his life. This poem — one of his Holy Sonnets — rejoices in the central Biblical truth, that God gives us all things; every spiritual blessing in Christ (Romans 8:32; Ephesians 1:3). 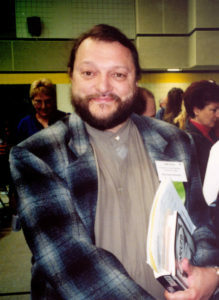 Peter Kazmaier of Mississauga, Ontario is primarily known as a novelist of Speculative Fiction – particularly as the author of The Halcyon Dislocation (2012) and its sequels. The third instalment in the cycle, Descent into Abaddon, is soon to appear in 2019. “Dawning” arose from his reading of Ephesians 3:14-19.
feel like another man’s steps. feels like another man’s amen. The tongue is mine, though. I lay the host atop it. What I mean is that didn’t have to be me. It didn’t have to be me held and loved by my mother and father as a baby. It didn’t have to be me held and loved by Cristina next to me in the pew. I thank you, God. I don’t understand. Cristina’s dark brown hair is tinged with red. I can see the auburn glow. As she sleeps I touch her beautiful, broad nose. for the breaking of the day. Zach Czaia is a poet, editor, and playwright living and working in Chicago. His first collection of poetry, Saint Paul Lives Here (In Minnesota) was published in 2015 with Wipf & Stock. His poems have appeared in such places as The Other Journal and Sojourners. This poem is drawn from reflections upon Ephesians 4:1-16.
human notes, by God we sing! Marjorie Maddox is a professor of English at Loch Haven University in Pennsylvania, and director of the Creative Writing Program there. 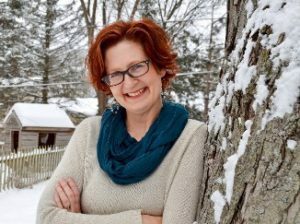 She is the author of several poetry collections — including most-recently True, False, None of the Above (Poiema Poetry Series) which is an Illumination Book Award Medalist. Jean Schreur of Hudsonville, Michigan, enjoys writing about Biblical characters and places. Several poems were published in the recent anthology Adam, Eve, and the Riders of the Apocalypse (Poiema Poetry Series). She is a retired nurse and lives with her husband on the family celery farm. a roll of quarters to get the job done? jeans are worn two, three, or a pressing four times. Help you wash that laundry? Just show up on Sunday and find out. Bugg Davis is originally from Mississippi where she completed a degree in English with a concentration in Philosophy. She has been published in a number of literary journals in the Southern United States. Recently, she moved to Hamilton, Ontario, to pursue a degree in Business and Marketing and is working as a Barista. Ephesians 4:30. Grieve Not the Holy Spirit, Etc. —————I pass away and leave it dead? —————Your sins express; melt into dew. —————But to my God’s too; he doth groan. There can no discord but in ceasing be. —————More bowels have, than such hard things. —————I am no Crystal, what shall I? —————My want of tears with store of blood. George Herbert (1593—1633) is famous for his devotional poetry which was posthumously published in his book The Temple. He served as an Anglican Priest, rector of the small parish of St Andrews Church, Lower Bemerton, Salisbury. In 1632 he also wrote A Priest to the Temple, which expresses his ideals of what a pastor should be. the bonfire crowning a hill. to rally. On again. Off . . .
David J. Busuttil lives with his loving wife Katie in Hornby, Ontario. He won the 2017 In The Beginning Award from The Word Guild. His poetry regularly appears in the magazines Love Is Moving and Ekstasis. David is active in poetry performances in the Greater Toronto Area. His original play Within a Play launched at Georgetown Little Theatre in June of 2018.
of your God-obsessive hunger. Peace. dim wittedness. Meantime, have a stretch. Scott Cairns is the author of eight poetry collections, including: Slow Pilgrim: The Collected Poems (2015, Paraclete Press). He is Professor of Poetry and Director of the MFA in Creative Writing at Seattle Pacific University. His poems have appeared in The Atlantic, Poetry, and The McMaster Review of Theology and Ministry. 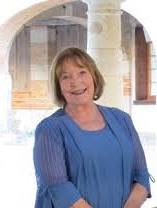 Sandra Duguid is the author of Pails Scrubbed Silver (2013, North Star Press). Her poems have also appeared in the recent anthology Adam, Eve, & the Riders of the Apocalypse (Poiema Poetry Series). She and her husband live in New Jersey. This poem is drawn from several passages, including Ephesians 1:7-10.
on a bitter winter night. Bonnie Beldan-Thomson of Pickering, Ontario, wrote this poem in response to the opening verses of Ephesians. She is part of Adonai Creative Arts, through Forest Brook Community Church, where she helps facilitate The Writing Room — a place of spiritual care and creativity. She received the E.J. Pratt Medal in Poetry from the University of Toronto. somewhere else, was someone else. It’s his insignia, inheritance guaranteed. love like this frightens me. to displace doubts, to replace the broken seal. 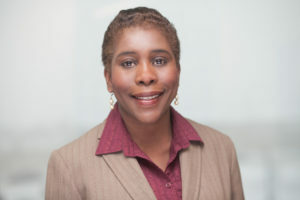 Vilma Blenman has published a poetry chapbook First Flight, plus stories and poems in the Canadian Hot Apple Cider anthology series. She lives with her family in Pickering, Ontario. “My Father’s Place” is influenced by Ephesians 3:18, but also Ephesians 1:13 and 14.
let the sun go down on our anger. how we might navigate to common ground. Ryan Apple is a Music Professor at Great Lakes Christian College in Lansing, Michigan — where he and his wife live with their six children. His guitar music is available at: https://itunes.apple.com/us/album/go/606553867. His poetry has appeared in the anthology Adam, Eve, & the Riders of the Apocalypse (2017, Cascade Books). all that language of the dispossessed. seasoned proofs, potential food for afterthought? with appeals for anything specific or routine . . .
exceeding abundantly above all that we ask or think. our reasonable dimensions of space and time? Not according to the blueprint of the mystery. silent music between ear and Ear. Mary Willis lives in London, Ontario. Her poems have appeared in Canadian Literature and other journals and anthologies. She has also published three chapbooks through Fiddlehead Poetry Books, including: Earth’s Only Light. “The Architecture of Prayer” is built on Ephesians 3:20.
unclear, always missing the mark? So let me be plain. I’m grateful for the days of sun. I’m grateful for the rain. 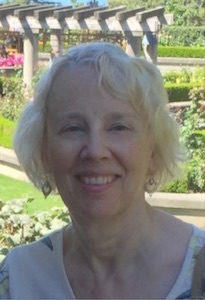 Barbara Crooker is the author of seven poetry collections. Her eighth, The Book of Kells, will appear from the Poiema Poetry Series early in 2019. She and her husband live in Fogelsville, Pennsylvania. Her poems have been featured many times on The Writer’s Almanac as read by Garrison Keillor. of the dying cries of Stephen. of engineered bullying from Rome. for children of immeasurable belonging. 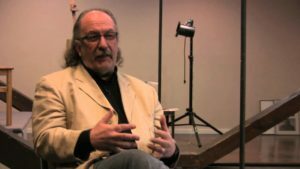 James Tughan has been called “one of the world’s foremost pastel artists.” He has served on the faculty of Tyndale University, Redeemer University, and Sheridan College. Even so, Tughan has immersed himself in course work at McMaster Divinity College. One of the many influences on his poem “Adoption” is Ephesians 1:5. ——-for we are members of one another. The truth is, neighbor, your lawn is looking rather shabby. I see your sins and…Joshua judges Ruth. I stand firm in faith and shall not be budged. And if you judge me…ye shall be judged. 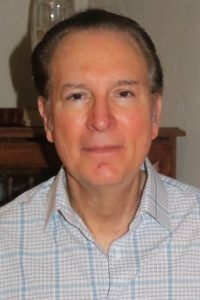 Daniel Klawitter of Denver, Colorado has published three full-length poetry collections – most recently Quiet Insurrections (2018, White Violet Press). His children’s poetry chapbook Put On Your Silly Pants received an honourable mention in the 2017 Dragonfly Book Awards for Children’s Poetry. ——-that is in the paradise of God. Rev.2:7.
alarmed when another riot erupts in our city. who regularly bow and bend and those who don’t. while here at home the vultures flap their hostile wings. applause from the crowded theatre. Sarah Klassen is a Winnipeg-based writer who’s won numerous awards, including The Canadian Authors Association Award for Poetry for her collection A Curious Beatitude. Her eighth and most-recent collection is Monstrance (2012, Turnstone Press). Her poems have appeared in many journals, including The McMaster Journal of Theology & Ministry. the empty forms of their bodies waving in air. to witness the past and measure the present. of who came before us and who long brought us here. the best building standing remains the whitened library. Nicholas Samaras is the author of two poetry collections – Hands of the Saddlemaker, which won the Yale Series of Younger Poets Award, and the extensive American Psalm, World Psalm (2014, Ashland Poetry Press) which contains 150 poems to emulate the Biblical psalms. His poetry also appears in The Turning Aside: The Kingdom Poets Book of Contemporary Christian Poetry. He lives with his family in West Nyack, New York. stretches a lean arm to snap prisoners’ chains. the blaze from demon horns. 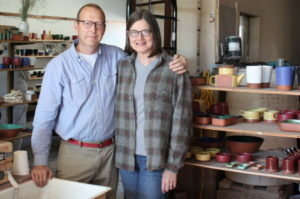 Laurel Eshelman of Elizabeth, Illinois (population 700) works a few blocks from home with her husband at Eshelman Pottery. Her chapbook, The Red Mercy, was a semifinalist in the 2014 Palettes and Quills Chapbook Contest. She was one of the participants in D.S. Martin’s festival circle group at the Festival of Faith & Writing 2018, in Grand Rapids. the twinkling of an eye. 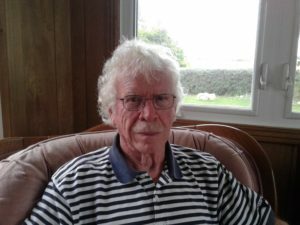 Neil Paul – of Caledonia, Ontario – is a retired English teacher who has been taking courses at McMaster Divinity College. I met him last year in Gus Konkel’s insightful class on the Psalms. He has self-published two books of verse. This poem was inspired by Ephesians 2:6.
on empty words from the kingdom of air. black souls shorn of dignity. contained too many echoes for him. to sigh the name of Jesus. Philip C. Kolin is the Distinguished Professor of English (Emeritus) at the University of Southern Mississippi. The title of this poem alludes to Paul’s reference to himself as the prisoner of (or for) Christ (Eph. 3:1 and 4:1). This poem will be included in Kolin’s forthcoming poetry collection Reaching Forever (Poiema Poetry Series) which is edited by D.S. Martin. Black Opal, Morning Glory, Emerald Spring. atop a caldera heaving molten rock. who lost himself in the steam and plunged into Crested Pool. They recovered just eight pounds of his body. after a yelping dog, emerging with blanched irises. if he knew about those, radiating in the snow. and thought nothing of reaching in. This poem by Tania Runyan is from her poetry collection Second Sky (2013, Poiema Poetry Series), which is a book of poems inspired by the life and writings of the apostle Paul. Her new collection What Will Soon Take Place (2017, Paraclete Press) is inspired by the Book of Revelation. Her poems are also included in the anthology The Turning Aside: The Kingdom Poets Book of Contemporary Christian Poetry. She and her family live in northern Illinois. If you like what you see, and would like to submit a poem of your own to Poems for Ephesians, please contact D.S. Martin, MDC’s Poet-in-Residence: (martid17@mcmaster.ca).